With school back in session, MCAO’s student programs aimed at helping kids lead healthier, happier lives are well underway. Friday Night Football Patrol is on its third game in our 7th season and we’ve already seen record participation by kids who have pledged to stay drug and alcohol free. In September, many schools and organizations have events geared toward the prevention of bullying and teen suicide; two issues that, sadly, often go hand in hand. MCAO staff volunteers will be out at these events to support the message that we should treat one another with mutual respect and look out for each other. 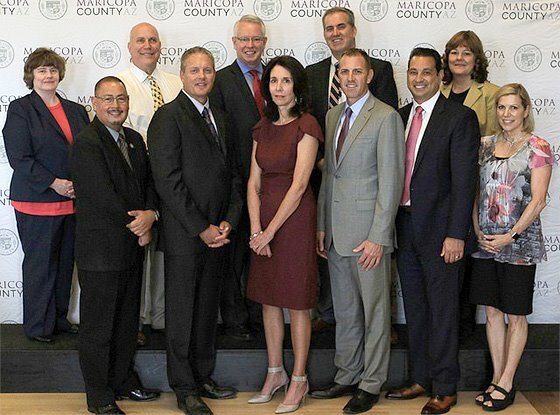 On a broader note, at a time when a national conversation has arisen that focuses on our differences and foments division, Maricopa County continues to maintain a climate of cooperation and civility. We simply haven’t seen the conflicts here that may be present in other communities. To their credit, local government and community leaders and law enforcement officials have come together, publicly, to demonstrate to residents that we are united. I want to express the respect I have for the way law enforcement swiftly and decisively dealt with small fractions of individuals who have attempted isolated acts of violence. I thank them for their dedication and professionalism. For those who are law abiding, free speech is protected. For those who seek to use or promote violence, public safety will be protected. Last year there were more than 36,000 reported burglaries in Arizona and more than 2,600 burglary charges were filed against defendants in Maricopa County. Burglars unlawfully enter buildings, businesses and homes with the intent to commit a crime. Burglars use force to break locks, enter through open windows and doggy doors and even through unlocked doors and garages. They steal property and money and often commit these crimes after hours and at night. More than half the burglaries reported in Arizona occurred between 6 PM and 6 AM. Within the Maricopa County Attorney’s Office, the ability to proactively identify key individuals committing these burglary offenses (and others) falls with the analysts and investigators assigned to the Crime Strategies Unit. These analysts focus on the collection, analysis and distribution of information regarding known and suspected criminal activity – in order to achieve more effective prosecution, disrupt criminal activity and reduce future crime. Crime analysis includes identification of crime patterns and real-time access to incident reports. MCAO analysts work with law enforcement partners to identify characteristics of criminal activity such as modus operandi, geographic proximity and patterns, external and environmental factors that may be in play and “hot spots” that exist in certain geographic areas of Maricopa County. Analysts look at things like the percentage of change in burglaries in Maricopa County over periods of time and then they drill down further to analyze individual burglaries and burglars that don’t fit a traditional crime pattern. They arrange the data so it is sorted by our geographically-based prosecution bureaus and the information is used to identify offenders and ultimately prosecute these same offenders. Crime analysts attend taskforce and law enforcement meetings, identify priority offenders and create original tools like jurisdictional maps and reports. As of press time, we are on our 3rd Game of Friday Night Football Patrol in our 7th season and this is the strongest season ever. MCAO and KISS FM kicked off the 2017 Season at Centennial High School in Peoria on August 18 and broke our all-time record with 1,843 pledges signed at lunch and during the game. Another record was broken with 65 student volunteers from the National Honor Society and Student Council encouraging their peers to take the pledge. 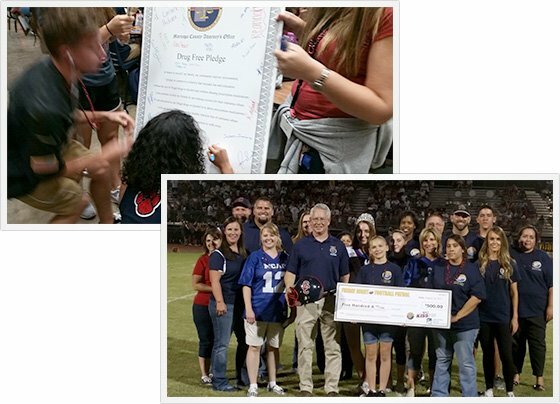 Higley High school in Gilbert turned in a strong performance with 1,109 pledges signed and Desert Ridge in Mesa gave an amazing effort with 1621. Check out http://safeteensaz.org/events/friday-night-football-patrol/2017-season.html each week for an update on each school we visit! Recently, one of our prosecutors had to answer that question in an asset forfeiture case after receiving a call about a man who needed his car back, a vehicle that had been used to smuggle drugs into Arizona. Back in January, 26-year-old William Joseph Pierce took his father’s Cadillac CTS and drove it from Texas to California. While driving back across Arizona he was stopped by a DPS trooper along the I-10 for a traffic violation. During the stop Pierce admitted there were drugs in the car and troopers arrested him after finding more than 14 pounds of marijuana inside the trunk. Pierce ended up that night in jail while his dad’s car ended up in an impound lot. Months later, Pierce was sentenced to 18 months of probation and the criminal case was closed, however the case involving the car was not over. Since the car was an integral part of a drug smuggling operation, it was in the State’s best interest not to return it to Pierce, or an associate who could use it to commit another crime. So shortly after Pierce’s arrest, law enforcement asked MCAO to file an asset forfeiture action against the property. This legal action allows a judge to review the evidence against the property and if enough evidence is presented, a judge can rule that the owner must forfeit the property to the law enforcement agency so that it is not used to further criminal activity. In the case of the 2009 red Cadillac CTS Pierce was using to smuggle in drugs, the judge properly ordered the car forfeited. There was no reason to deny the action since the red car was caught “red handed” smuggling drugs, and just as importantly, despite notification to all people with an interest in the car, no one had asked that the car be returned. A simple case appeared to be simply closed. However in Texas, Pierce’s 74-year-old father was trying to deal with a series of unfortunate events. First his son had taken his car without permission, then making matters worse, instead of just using it for an unauthorized road trip, his son had actually been on a drug smuggling mission. Gerald Pierce was without a car he loved and his son was to blame. Patiently Gerald waited, thinking he would get his car back when his son was sentenced; however, when he called about getting the Cadillac back he learned it was set to go to auction. Pierce had received paperwork on the forfeiture and several months had gone by without him sending in a notice he wanted to have the car returned. So without knowing Gerald was another victim of his son’s actions, the forfeiture went forward. Gerald was doing his best to live without the car his son took, however due to a combination of poor health and age he could not walk to the store or to his essential doctors’ appointments. He had to depend on the kindness of others for rides from his home, but his options were running out and he needed help. His daughter Pam Hodges, who lives in Arizona, started to become concerned about her father. She knew having a car was critical for her father, but he had no way to get another one. She knew reaching out to the man listed on the asset forfeiture paperwork her father had was a long shot, but she hoped maybe he would offer her some advice. With her fingers crossed Pam called the number she found on the paperwork. Fully expecting to get a message, what she heard was a kind greeting from Reid Pixler. “From the very beginning he was so nice to me, he listened to my story about my father and had a warmth to his voice that just made me feel like I could trust him to help us,” said Pam. 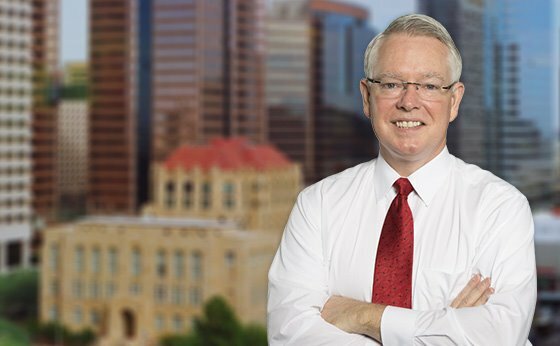 Pixler has served as a Maricopa Deputy County Attorney since 2013 specializing in asset forfeiture cases. However, before coming to MCAO, Pixler’s decades long law career had led him around the globe seeking to help people in many different legal situations. His most successful settlement at MCAO resulted in an unexpected award of several million dollars to more than 1,300 victims. On this day, Pam was hoping she could convince him to help one more victim, her own father. “The first thing I noticed was the passion and honesty in her voice,” Pixler said. “She was very upfront about the fact that her father had not done his part to get his car back, but she hoped that somehow it could still be returned to him because he needed it so desperately. I knew I had to look into it and see if there was a way to help,” he added. Pixler immediately looked up both the criminal case that involved the car and the civil asset forfeiture case. He saw that the car was scheduled to go to auction soon and he would have to work fast to convince everyone to work together. After checking into the hardship claims, Pixler was able to confirm that Gerald needed the car. He then took all that information to DPS who agreed to help return the car as well. However, DPS could not just give the car away because the title had been placed in the name of DPS, so they needed a court order first. That led Pixler and a representative from DPS to go before a judge and successfully convincing him to allow the car to be returned to Gerald. Pam is now planning to drive the car back to her father in Texas so they can be reunited. She says that car is really the only thing of value her father has left and he would have never been able to replace it, especially with something as nice. In September, many schools and organizations provide education and support to students for Teen Suicide Prevention Week. MCAO will once again be joining in these efforts, with a particular focus on anti-bullying. Bullying is a serious social problem that has found its way from schoolyards to cell phones. Online bullying is called Cyberbullying and uses technology such as cell phones, computers and tablets to deliver threats, harassment or embarrassment. 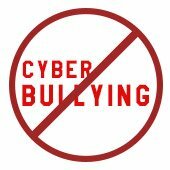 Cyberbullying is very different from face to face bullying because it can affect a child wherever they are and the pictures or words can last forever on the internet. It can happen more frequently and at any hour. It happens when you are alone but it can be seen by a very large audience. It can happen anonymously, making it difficult to pinpoint the source. DON’T RESPOND IMMEDIATELY - If someone is mean and hurtful to you online, remember that your reaction is exactly what the bully wants. Take time to think about the reason this is happening. TALK TO A TRUSTED ADULT - You deserve backup. It’s always good to involve a parent and a school counselor usually knows how to help. BLOCK THE BULLY - Use preferences and privacy tools to block the person. DON’T DELETE - SAVE THE EVIDENCE - You need to do this even if you think its minor stuff. The situation could potentially warrant law enforcement involvement. DON’T RETALIATE - Avoid getting into a battle of words yourself, which can escalate into a cycle of aggression. BE CIVIL - Treat people the way you want to be treated. Arizona has been a treatment first state since 1996, reflected by the fact that Arizona law precludes prison for the first two drug use or possession offenses, and while methamphetamine is exempted from mandatory treatment, meth possession/use is regularly incorporated into diversion or probation options for treatment, not prison. 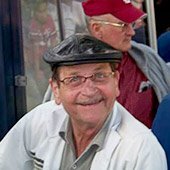 The American Friends Service Committee’s (AFSC) recent report, Drug Sentencing in Arizona: A Prescription for Failure, relies upon faulty analysis and inadequate research to inaccurately depict Arizona as an incarceration first state, and blames our sentencing statutes for our substance abuse problems. Arizona’s sentencing statutes are not responsible for our substance abuse problems. People abusing drugs, both prescription and illicit, are the real reason for our substance abuse problems. It is true that in Arizona, like every other state in the Union, substance abuse is a problem that calls for our attention and collective commitment. The Maricopa County Attorney’s Office, like other law enforcement agencies, knows this because each and every day we see the harm that substance abuse causes to individuals, families, and communities. We regularly work with community treatment providers, fellow stakeholders, and law enforcement to distinguish between drug motivated crime arising from addiction and crimes associated with the drug trade. Unfortunately, by accident or design, the AFSC report made no mention of these efforts. Contrary to the false picture painted by the AFSC’s report, Arizona does not incarcerate people solely for possessing and using legal and illegal drugs where “mere residue” is present. Establishing a usable quantity is important in proving that a defendant knowingly possessed the drug and is the standard the Office uses for prosecutions. In reality, Arizona’s sentencing statutes are effective, and the composition of our prison population, as documented in multiple studies since 2010, proves it: over 95% of inmates are violent or repeat offenders. That is based on convictions, not subjective analysis. AFSC’s report, which cites data published monthly by the Arizona Department of Corrections, conflates drug possession with drug trafficking and sales to claim that “21.8% of those in prison in 2016 were serving time for a drug related crime as their most serious charge” and proposes that reducing drug possession offenses to misdemeanors will significantly reduce the prison population. The claim and conclusion deliberately ignore the fact that drug trafficking and sales offenses make up almost 2/3 of this category. That, in turn, is reflective of the fact that Arizona is the main thoroughfare for drug smuggling into the United States. Until the issue of control of our border is resolved, changing the nature of a drug possession offense is not going to impact sentencing for drug trafficking and sales. The AFSC report also inflates the impact of drug crimes on the prison population by using the broad term of “drug related crime.” To put this in proper context, if we categorized violent offenses the same way, violent crimes are actually the largest category of committed offenses at over 31%. Overall, the ADC data consistently reflects that approximately 73% of prisoners committed violent crimes. Given this data, the report very generously assumes that “drug related crime” is non-violent, which is another serious error due to the fact that drug trafficking and sales offenses often involve weapons and are a scenario often seen in homicides. 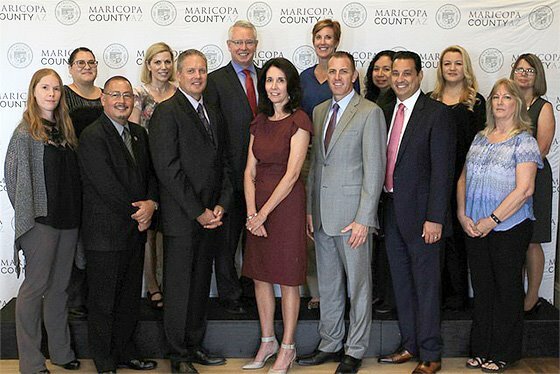 Each August, MCAO, along with 14 Arizona county attorney’s offices, compiles two reports that provide important annual statistics and information on MCAO deferred prosecution programs and child abuse investigations. The “MCAO Deferred Prosecution Program Annual Report, 2016-17” and the “MCAO Annual Activity Report on the Multidisciplinary Protocol for the Investigation of Child Abuse FY 2017” include year-end statistics that provide an overall picture of the number of persons enrolled in deferred prosecution programs, the types of programs and those who were subsequently convicted along with the number of criminal conduct allegations investigated and joint child abuse investigations conducted. MCAO continues to provide high quality, cost-effective diversion programs to eligible adult and juvenile offenders who come in contact with our office, and these annual reports outline the nuances of each program as well as the number of successful and unsuccessful alternatives. The Multidisciplinary Protocol highlights MCAO accomplishments and legislative successes – all in support of and to protect children. Both reports can be accessed on the MCAO website: MaricopaCountyAttorney.org/AR.